When a company decides it’s time for a change in environment, it depends on industry experts to guide them in the right direction. With so many moving parts, these projects require multiple contractors to work together seamlessly and efficiently to produce a space that reflects the client’s vision for their workplace. Houston-based Cheniere Energy, Inc. relied on the teamwork of PDR and Brochsteins, an architectural woodworking firm, to create a stimulating and comfortable workspace that promotes collaboration while also incorporating an elegant industrial design. The new office space features a stair that connects eight of the nine floors occupied by Cheniere, which was designed to create unity and establish a creative core, making the space seem larger and more connected than ever. 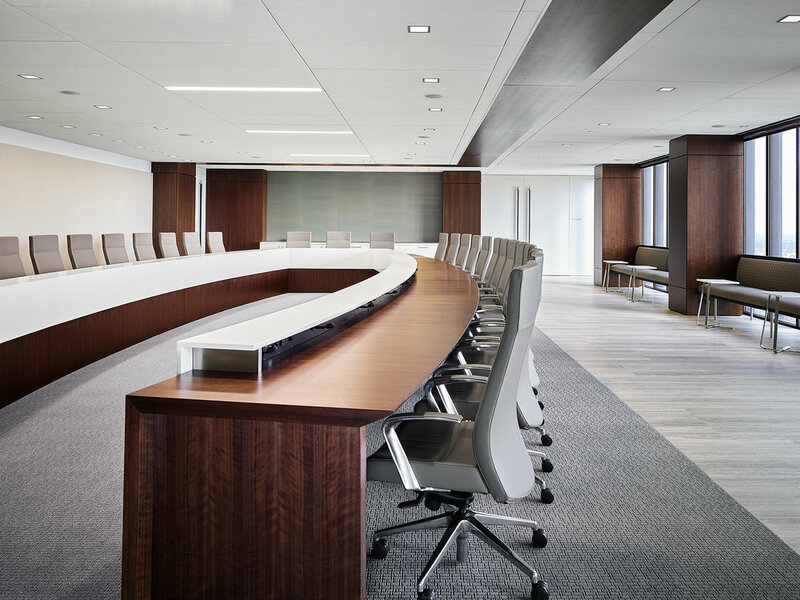 Brochsteins’ craftsmanship throughout the process of building the PDR-designed conference table was highlighted by the incredible care in choosing the materials and the ability to join-fit the table on site. 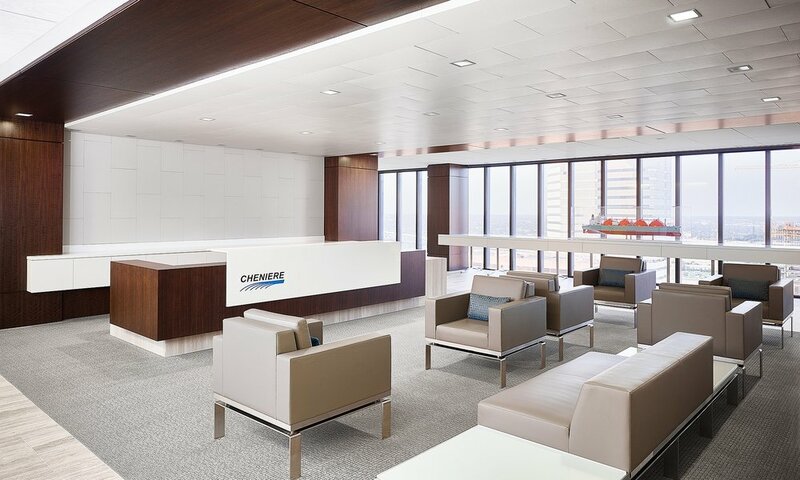 Ultimately, a collaborative spirit was necessary to enhance Cheniere’s reputation by designing a space that can keep up with new workplace trends, therefore attracting and retaining the right people. Click here for the full article in Design Solutions.